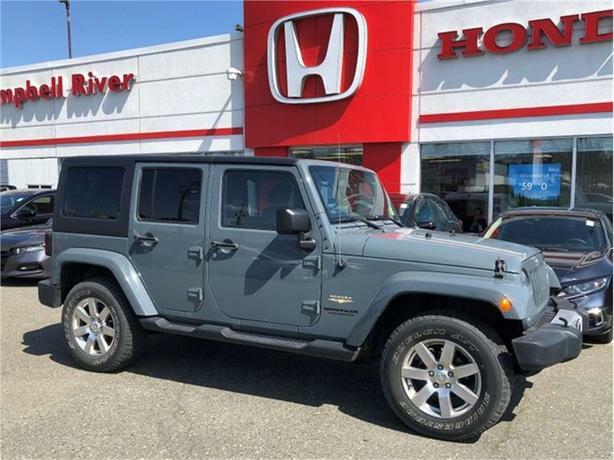 Looking for the perfect vehicle to handle every inch of terrain B.C has to offer? Well look no further! This Sahara Unlimited is a supreme choice! With great features such as , Side Steps, Bluetooth, Hard Top, Navigation, Tiptronic Transmission, 3.6L V6 Engine, and more!